JAMB Direct Entry is mainly for those that already possess a Diploma certificate and wishes to go for a degree programme in any universities of their choice. For those who don’t know, if you gained admission into the university via direct entry, you will start from 200 level and sometimes from 300Level. Cambridge A Level, B Sc, HND, ICAN, ND, NCE, OND IJMB and JUPEB. Step 3: Continue registration by supplying the vended PIN on the mobile application or the JAMB Registration Application at an accredited CBT centre. NOTE: Do not visit any blacklisted CBT centres. 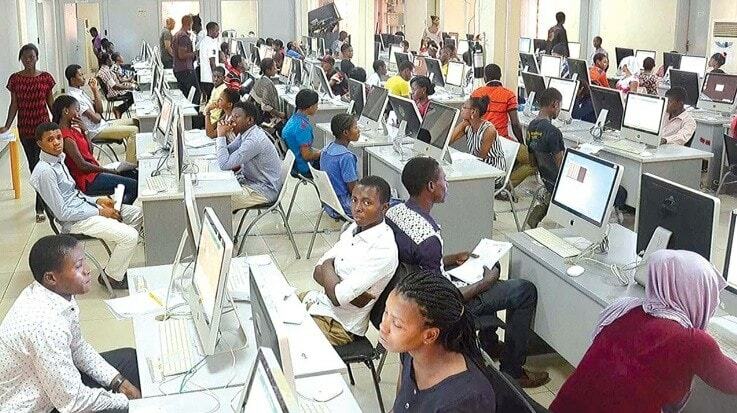 You can see the lists of UTME CBT Centers that has been blacklisted by JAMB Here. Step 4: Complete other required information via the mobile application or the JAMB Registration Application at an accredited CBT centre. The closing date for the sale of Jamb Direct Entry form (2019) is 21st February, 2019. Please click on the twitter and Facebook like button to share this info with your friends. Good evening. You ain’t replying some critical questions here and it’s not fair. Good job you are doing though. Please can a potential candidate who didn’t gain admission through Jamb apply for Direct Entry? Direct Entry are for students with one diploma or another. Not for WAEC holders. You can however go for IJMB and be admitted into 200 level after one year programme. It is not easy to see all the questions. My apologies. can I have your number??? Evening ma,Pls ma can I fill DE form with awaiting result? sir how far about those that obtain nd lower credit…could they get level 200 kr they will start as fresh..need ur reply plz..
Sir , I gain admission through jamb at d polytechnic I did my ND program and now jamb has updated it to university on there Admission status portal…pls did I need to regularize my jamb number again??? shey you go poly go count trees? U go play for there? Wetin make you carry pass comot? pls i need a reply urgently, tnxs! I have 9 credit in my waec and am applying to university of kashare,gombe state. Please i need to know when DE form will be out i really want to purchase it. We will inform you when the form is out. Probably, it will be out after the Jamb UTME examination. We will let you know the moment we have the information. I got admission through school and not by JAMB,please do I need to regularize my JAMB registration no and where can I get that done? good evening sir I want to apply for DE nd presently am on my final semester on ND. pls hw can I do Sir ?? The form is not officially on sale yet. Good morning sir! Please with reference to your requirements for gaining admission through direct entry, are we required to sit for an examination like UTME candidates before being qualified for admission? No. There will be no Examination for DE candidates. Yet to get information about de registration, bank said they are yet to receive signal from jamb. What can l do? Good day sir, a mistake was made while feeling the form DE, can it be corrected? We are not so sure. Please confirm at any Jamb zonal office close to you. When is direct entry registration closing? I face the same problem and now I have given up…honestly if one have his way,schooling in Nigeria is a total waste of time. The information on how to register is on jamb official portal. I already a graduate. B.Tech Land Surveying and I want to apply for Civil Engineering can be given two hundred level? The closing date is 6th February. Good day sir, I got admission in to degree program by the college I finished my n.c.e no by jamb, I have jamb number and told to go and look for d.e number not jamb number. To get D.E number, you must have purchased JAMB Direct Entry form? Please visit JAMB office so they can help you.. Yes. Jamb Direct entry form is still on sale. pls am with 10 point in my NCE result can I get 200L? You can apply for UTME and then upgrade it later if you want to. I have done everything about the Jamb DE. But i don’t know if the school’s DE form 2019/2020 is out and as to when to write the exams. Pls i need answers and guidelines so as not be left behind and avoid wastage. When will the DE form be out for 2019, and the bank we can make payments into?? Please is there any chance for change of institution for direct entry aspirants?